Denny Houtstra is a gearhead by every definition. Fixing cars is nothing new for the co-founder of C.A.R.S. 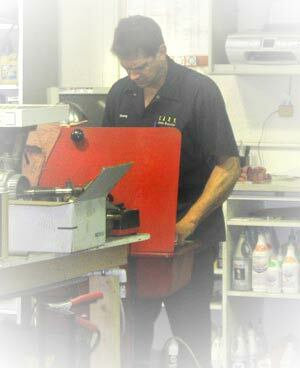 Auto Repair Service, after all, he’s been tinkering on vehicles for over 30 years. Houtstra is the son of an electrician and spent his early years installing, programming and maintain self-guided robotic vehicles. Today’s cars and trucks require advanced computer knowledge, something a certified diesel mechanic with a background in computer diagnostics is ideally suited. Houtstra’s hobby is constructing, driving and restoring racing cars. Working on high-performance vehicles enhances his skill set in diagnosing, servicing and rebuilding engines, transmissions, electrical, suspension and steering systems. He regularly travels to advanced training seminars throughout the country to continue to provide the highest level of expertise and service for your car or truck.